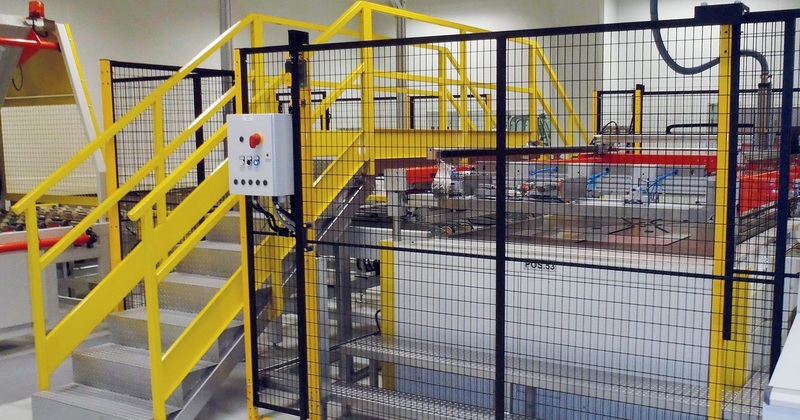 As requested by the new European Safety Regulation, adequate safety fences must be installed to keep under control the access to the printing machine and line. The fences, that have a height of 2000 mm, are equipped with interlocked doors that allow the entrance into the line. The access request is made by buttons controlled by the safety access software. 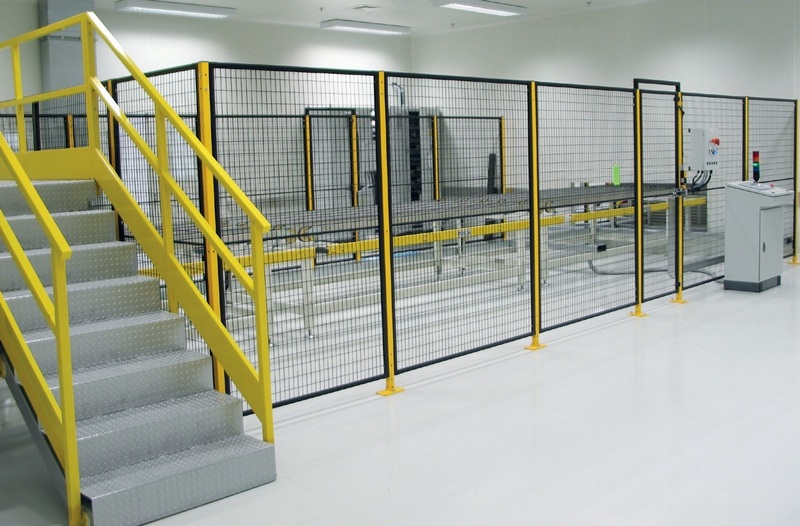 Note: The installation of the safety fences is mandatory in order to obtain the CE Compliance Declaration for the equipment.